Walailak University was formally established in 1992 by the Walailak University Act B.E. 2535. It is a fully autonomous state university under the supervision of the Minister of Education. This institution of higher learning, Walailak University, is a residential university equipped with modern educational facilities, services and accommodation for students and staff, located against a beautiful backdrop of mountain scenery in Thasala District, Nakhon Si Thammarat Province. The campus is 780 kilometres south of Bangkok, two hours and a half drive from the beach resorts of Samui Island and Krabi, and from the busy commercial center and international airport of Hat Yai. The Province of Nakhon Si Thammarat is well served by daily air, train and bus services from Bangkok, Had Yai, Phuket, and Malaysia. The University has a total area of 3600 acres, making it the largest campus of any university in Thailand. Besides the main campus at Thasala Walailak also has a coordinating office in Bangkok and a service center in neighbouring Surat Thani province. 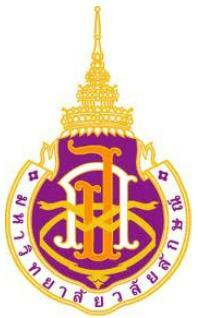 The University’s administration is wholly outside the Thai civil service system. In all, Walailak is a comprehensive and residential university offering a wide range of degree programs at undergraduate and postgraduate levels in science, liberal arts, engineering and resource management, agricultural technology, economics and management, information technology, allied health sciences and public health, nursing, medicine, pharmacy, and architecture and design. WU has a vision and aims high to be a reliable community-based, resourceful learning organization fully committing to render good governance services and world-class academic practices.